Those magnificent men in their flying machines are back. 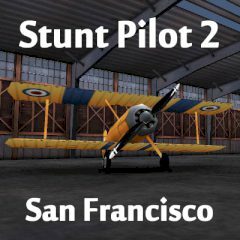 Racing against the clock in 'Stunt Pilot 2: San Francisco', the courses are more challenging this time around. Navigate the courses in the quickest time possible and emerge victorious.